Recently the site eve-marketdata.com changed hands. Eve-marketdata.com is one of the widely used sites with market data from New Eden, containing a plethora of tools. Eve-marketdata.com also provides good interfaces for developers that let them pull specific requests form the database. I reached out to the new owner, Krastor Sandoval, with a few questions. Q: Krastor Sandoval of Eve-MarketData [EMRKT] is a new character and corporation. Can you share who else you are in Eve or do you wish to remain to anonymous? Krastor began as my Eve-MarketData holding character but has since transitioned (with the help of probably too many extractors/injectors) to my main. Besides, the rest of my characters are as close to anonymous as you could probably get. 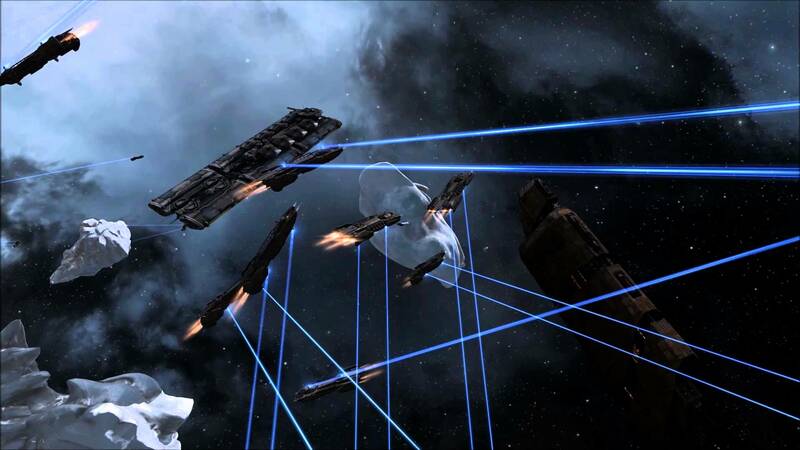 Q: It seems reasonable to assume that you enjoy the economic gameplay of Eve Online. What other things do you like to do within Eve? I do dabble in the markets, yes, but not to the extent that I know some of the users of the site do. I think I do enough to be aware of what options and tools would be useful to the majority of people though. My time is mostly spent doing the regular, everyday things in EVE: missioning, mining, the occasional pvp roam. Up until recently, I was a director in my non-EMD corp, so that took up a lot of my time as well. Q: EMDR (Eve Market Data Relay) has been the backbone of sites like Eve-Marketdata and Eve-Central in the past. How do you see CREST changing things? CREST itself is an incredible asset to 3rd party developers, just based on the variety of data points it supplies that cover pretty much any aspect of EVE you can want. As far as market data goes, the limit initially was the number of requests you could submit at a time. So if you wanted say, all the market data on all items for The Forge, it would be hours submitting all the requests needed. I just read a devblog though that they’ve added new resources specifically with these sorts of issues in mind. Hopefully, this will bring the market sites back up to our old levels of speed and data accuracy. Q: Market scanning, cache scraping, and uploading into EMDR has been the mainstay of pricing data in the past. Do you think this will continue? CREST is a big game changer as far as market sites go. Initially, it wasn’t that big of a deal because we still had cache scrapers like EveMon to feed data into EMDR. With the latest iteration of EveMon though, cache scraping is no longer a feature, and EMDR now primarily relies on automated CREST trawler scripts to supply it with market data. Q: Buying Eve-Marketdata came with a RL cost. What interested you so much that you wanted to buy it? Eve-Marketdata was the one site I used when I was most heavily involved in trading, mostly because it offered a bigger variety of tools than the other market sites I’d looked at. When I read that the original owner was bowing out, I wanted to keep this resource available to those who made use of it. Q: When a new release occurs, how time and effort does it take to update the item databases? Are there other issues you need to address upon releases? With every new release, there is a multi-step procedure that needs to be done in order to add all the new items to the SQL database. It’s probably not the most streamlined of processes, but it’s usually not too bad because it’s fairly rare that CCP adds more than a few new items on a release. Except for the Citadel Release… that was painful. That was easily 3-4 times as long. Q: Eve-Marketdata offers several unique data feeds, such as Station Rank and all item pricing in specified systems. Are you planning any new special feeds? When I initially took over the site, I knew what I used the site for, but I had no idea what others found useful. So I created a simple survey that I’ve linked in our blog and in-game channel to gauge what did and did not work for our users, what they wanted to see, etc. We’ve received quite a few responses so far and they’ve definitely shown us what we need to keep and a few services that we plan on looking into offering in the future. The idea of customized watchlists for items has been brought up, along with a few other features we’ll be announcing once we’ve had some time to work out the rough spots. Q: The set of Profit Making Tools are useful to many. Do you use them in your own trading? Primarily, I make use of the Deal Finder and Trade Routes features. The Deal finder is great when I’m away from Jita and I want to make my return trip as profitable as I can and Trade Routes helped me a lot when I was more into the hauling of goods for a living vs my now sedentary trading life. And of course, Copy/Paste is just an easy way of eyeballing contract/fit/hangar values. Q: What is the most requested change or addition that you have received? Our biggest request so far is to be less Jita-centric. In the past, I can understand why the original owner focused pretty much exclusively on Jita, but now with the advent of citadels I think there’s going to be much more demand for market data based on non-traditional trade hubs. That’s definitely something we’re looking at implementing in the near future. Q: With EveMon’s removal of cache-scraping, is there any value in players running a market scanner? Is there an alternate tool to scrape their cache is they want data in a specific area? There are a few lingering cache-scraping tools available, I believe, but I think it’s the end of that particular method. As CREST gets faster and more developed, there will be no need for cache-scraping and that time is coming fairly soon. Q: Citadel tax percentages are a new area for marketeers to explore. Do you know of any way to retrieve tax rates or other method to include this kind of data into the database? I’m as excited about Citadels as anyone, I think, just because of the incredible potential they have to create new markets and give players more ways of influencing the game economy. However, I think the dream that was sold to us is coming in steps– from what I can parse out from my own Citadel operations, they are treated as ships rather than stations in the code. Hence why contracting, trading between players, and any other tasks you can only do on stations are non-functional. So at the moment, there’s no way to pull individual Citadels’ stats. I’m hoping that will change with the upcoming Citadel improvements. Q: Eve-marketdata offers paid membership for more results in some of the trade tools. How is this going for you and do you see any new benefits being developed for paid members? Based on the results of the user survey we put out, there are definitely some improvements to be made to the site both for regular members and those who wish to donate to help cover server costs. The biggest issue is that I’m not really a coder. I took over the site with the intent of running it as is, but now that I am, I can see a lot of areas that could be improved, streamlined, and added to for both types of users. I’d like to thank those readers who use the site and contribute their ideas. I might not get a chance to respond to every email, evemail, and PM, but I do read them all and take them under advisement. For those who have never used the site, please come take a look – anyone from the occasional trader to the station tycoon will find tools that are geared towards them. Also, if there’s anyone with a PHP/Python background who’d like to do contract work on an EVE related site, feel free to reach out to me. I’d love to see Eve-MarketData grow to be even more useful. Thanks to Krastor for taking the time to answer my questions. If you haven’t visited eve-marketdata.com, give it a try and see what you think.